Heat oven to 350°F. 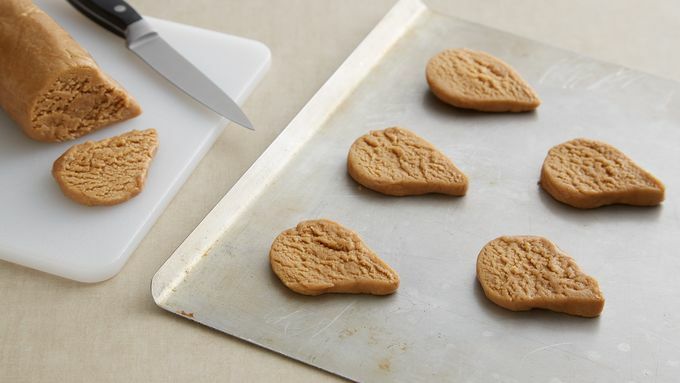 With hands, shape roll of cookie dough so it forms a point all along the top and remains rounded at bottom. 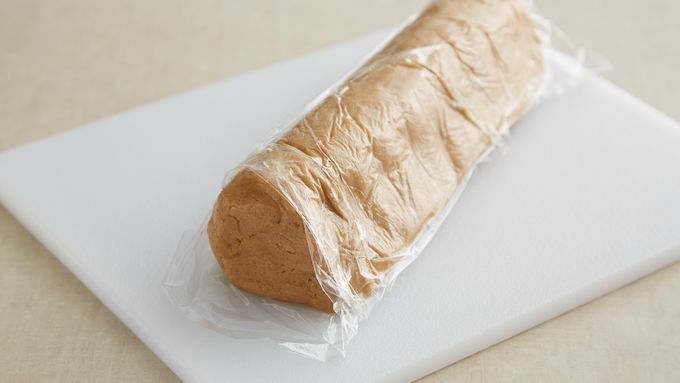 If dough is too soft to cut, wrap in plastic wrap, and place in freezer 15 minutes. With thin sharp knife, cut dough into 24 slices (about 3/8-inch thick). Place 2 inches apart on ungreased cookie sheet. 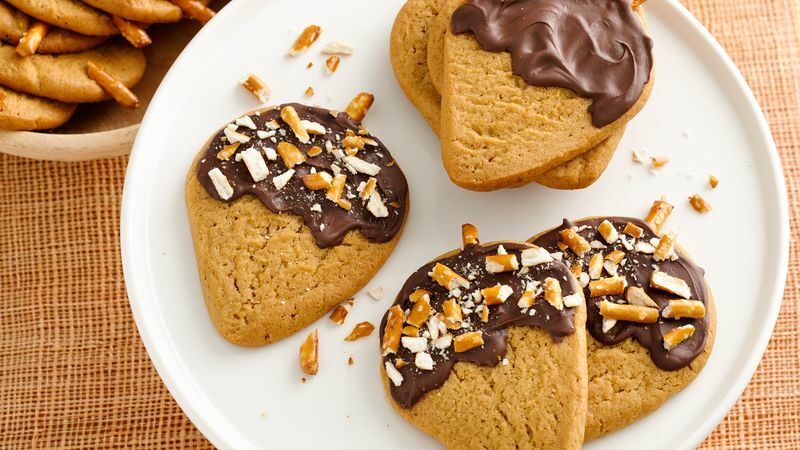 Place cut pretzel piece at top of each cookie at a slight angle. Bake 9 to 11 minutes or until cookies are set. Cool 1 minute; remove from cookie sheet to cooling rack. Cool completely. In small microwavable bowl, microwave chocolate chips and oil uncovered on High 1 to 2 minutes, stirring every 30 seconds, until smooth. 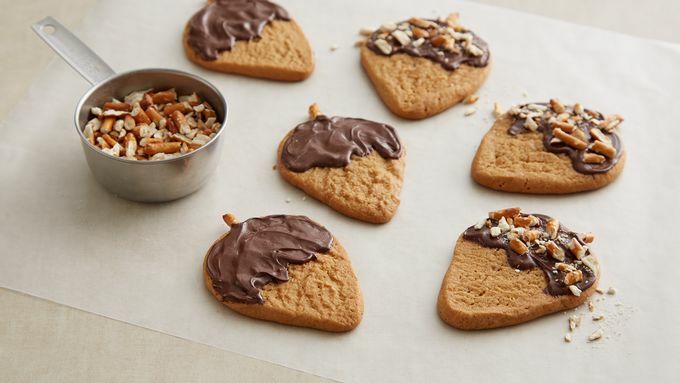 Using frosting spatula or knife, spread chocolate on top portion of each cookie to look like acorn shell. Place on waxed paper. Immediately sprinkle crushed pretzels over chocolate. Let chocolate set before serving. Freezing the dough helps keep the acorn shape while cutting. To speed up time for chocolate to set, refrigerate 10 to 15 minutes before serving. Chocolate will take about an hour to set at room temperature.